The Castle of Pau is a historic building located in the center of the city of Pau. It is particularly famous for being the birthplace of Henri IV, King of Navarre and the future King of France. The first fortification on the site was built in a strategically important position, on top of a hill overlooking the Gave river. A century later, Gaston IV of Bearn improved the defenses by building three additional towers; the towers were named after three small settlements located near the castle: Mazeres, Billere and Montauser. In the 14th century, because of the Hundred Years War, there was a need to further enhance the castle's fortifications. It was the famous Gaston Febus, Count of Foix who was given this task. He built an imposing brick tower, 30 meters high which to this day bears an inscription in Latin on the base: Febus me fe (Febus made me). In the 16th century, the castle became a royal residence. 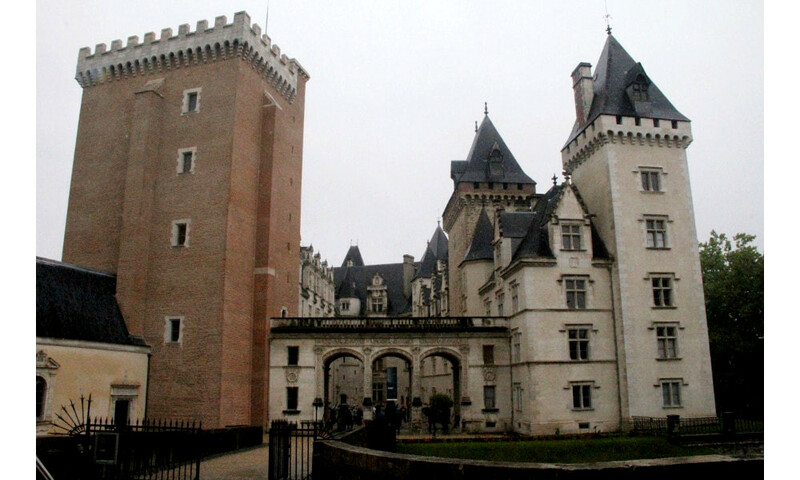 Marguerite de Navarre, the sister of King Francois I of France and her husband Henri d'Albret moved to the castle and completely transformed it into a Renaissance palace. The H and M monograms are still visible in several places of the castle. Henri IV was the grandson of Henri d'Albret and Marguerite. 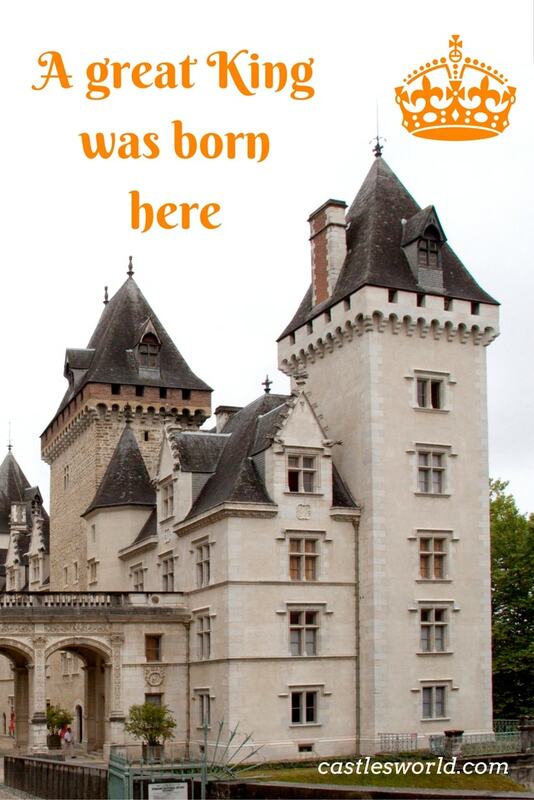 He was born at the Castle of Pau on December 13, 1553. The castle's museum has preserved a cradle made of a turtle shell in which the future king slept as a baby (it was believed at that time to bring long life to bodies placed inside). Although Henry IV lived at Pau only during his early childhood, the castle remains associated with his name. The castle was entirely renovated in the 19th century by King Louis-Philippe I and later under Emperor Napoleon III. One of the changes involved moving the furniture from the room where Henri IV was born to an upper level and converting the entire second level to a reception area. Today, the castle houses a National Museum that displays a collection of French fine and applied arts preserved from the days of Henry IV as well as from the restoration made by Louis-Philippe. There is also a sumptuous collection of royal tapestries from the 16th to the 19th century. The museum hosts over 100,000 visitors per year, making it the most visited heritage site in the Pyrenees-Atlantiques department.